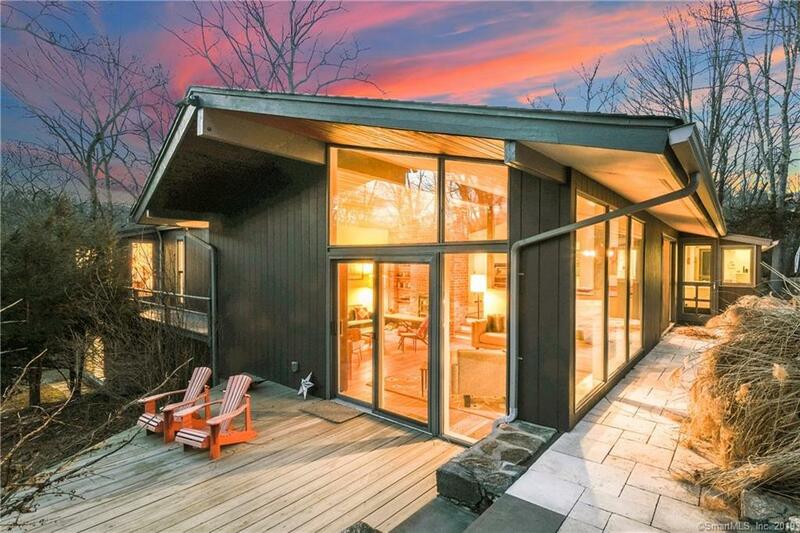 This spectacular 1958 one of a kind Mid Century inspired home was designed by the Architect Thomas Fleming seamlessly blending simplicity with the surrounding nature. Minimalist aesthetics welcomes you to this home incorporating an open floor plan with modern elements for today's discerning buyer. Built in the Historic Millstone Quarry, the sun drenched residence offers original details with walls of glass overlooking the stone patio, pool and expansive property. A pure gem blending minimalism, solid construction and detail. Directions: Ridgefield Road To Millstone To Grey Rocks. House Is On The Left.